Rangers have played over 900 minutes of football under Steven Gerrard. They've had 720 minutes of competitive action and had to travel to Croatia, Slovenia and Macedonia. They've had men sent off early in two different games. Without any doubt this is simply way beyond what any of us hoped for, and is quite simply incredible. The Gerrard Effect is having an influence throughout every facet of this club, and starting to bring back the Rangers we expect. Sure, Mark Warburton was also blessed with some shiny numbers on social media too, but that was in the Championship v Dumbarton – Steven Gerrard is managing this against Aberdeen, Maribor and Osijek – serious teams. To not have trailed by a goal at any occasion of his entire tenure is utterly remarkable, and it includes the friendlies as well. It is just a stunning, stunning start, impalpably so before he was appointed, and just makes our friend Britney look even sillier. Keep it up guys, and we may, just may have a shot at the title this year. Incredible, huh? Gerrard an inspired appointment not endorsed by everyone. Let's hear you guys. Admit it and apologise to Dave King. We’d urge caution there. This was Mark Allen’s appointment. Credit where credit is due Rob... well done Mark Allen for highlighting Stevie G to King!! If it wasn’t for McGregor? So you’re saying if it wasn’t for our best players we wouldn’t be great? Isn’t that kind of the point? At some point, we're all going to have to accept that Gerrard is the real deal. It's not surprising to me. He has a serious eye for talent, and the club is going to the wall to back him. His players are playing for him as much as they are fighting for the badge. That's the hallmark of a truly great manager. I'm sure there was a lot of laughter when SG came out and said group stage of Europa League was a team goal. Well, on the eve of our resurgence, who's laughing now? Phenomenal individual performances. This team will die for each other and more players coming in this week to bolster the Rangers Revolution. Looking at Goldson with his 100 yard sprint in the 90th minute and nearly scoring tells us everything about how this team is totally committed to the cause. A shout out to the travelling support. Simply the best, better than all the rest. It also shows SG and the rest of backroom team have worked on the very thing we could all see was wrong, amongst other things, the previous few seasons..... fitness - both mental and physical. Couldn't agree more Robrob57. Sick of this site and it's Dave King bashing. Mark Allen might have put his name forward but it was DK who wined and dined Stevie and convinced him to take the job. Wouldn't hold my breath waiting on IN giving Dave King any credit much less an apology. Mate, we never once criticised King for this appointment. If you can quote us doing so we’ll gladly apologise. And, while you’re at it, other than the SD shambles kindly alert us to all the anti King content recently. If you’re that sick of it it must be pretty regular. Err your wrong... King was involved in latter stages of negotiations. What apology is King due? Perhaps getting something right, thanks to other people knowledge, after all the previous ballsups? RangersDaft..... Just like I said... Read Mark Allens story in the paper today!! The problem I see it with those who think King is something he is NOT is the fact that when makes a hash of things...NOTHING!! Nada!!! Deflect, deflect deflect. Mistakes indeed that could / should have led to him being ousted. BUT when something good happens they jump on it and are so readily willing to claim it as Kings. I really don't think we as Rangers fans apologise to ANYBODY TBH ? We Are Rangers Remember, players and management go, It's The Club that remains as well as us the fans..... No Fans, No Club. Remember that Dave King gave us warburton.....Murty, just NO! as we WERE Failures. 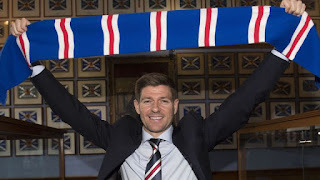 I have NO IDEA as to Whom came-UP with SG, that fella wins a watch........ but WHAT BOARD-Members were sacked over the fact that warburton failed and THEN giving Rangers FC management OVER to an Under 20's fella AS RANGERS FC MANAGER ? Aye, (This VERY Rangers Board)......Let's give the Job to Mr Murty, a mean WHAAAAAAAAT! So Which 'Boardroom -members' got sacked for SUCH FOOLISHNESS THEN ? 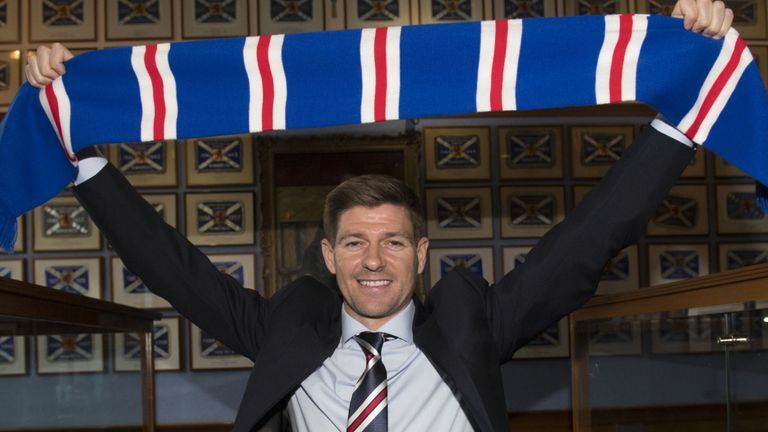 Yes Steven Gerrard IS a Good -looking Gers Manager........ but WHO is at fault over the abismal appointments of BOTH warburton AND Murty at all ??????????????????????? Being fans of RFC, we need ANSWERS And ACTION to be taken over SUCH FAILURES !!!!! Alan you seem like a very angry man at a time when we should all be feeling a wee bit bouncy. Warburton was an inspired choice who came with a short but very impressive CV. Obviously it didn't work out but it was a chance well worth taking at the time. Murty was given a contract till the end of the season through desperation. Basically there were no qualified people willing to take the job and after the disaster of Murty's predecessor the board made a decision which I also thought was wrong but in the long run now looks to have possibly been right. Neither of these decisions should result in anyone getting sacked. The fact that you missed out the most bizarre and disastrous choice that the board have made is very strange. There was absolutely nothing about Pedro's CV that could ever make him a candidate for even the tea ladies job at Ibrox never mind manager, and on this one I would have to agree that questions should be asked and action taken to ensure this doesn't happen again. However going by the current managers very early showing it's just possible that the board have been way ahead of us on this. Why can’t you enjoy the upturn in fortunes instead of looking back and aimlessly pointing fingers at what happened in the past? We don’t need answers and actions relating to bad decisions 1,2 or 3 years ago. It’s done. Now what we need to support, regale and enjoy the light that appears to be at the end of the tunnel. If you’d rather waste whatever energy you have on the past then you’ll miss out on the here and now. Let’s enjoy it and see where it takes us. Yes. Steven Gerrard has already proven that he is an excellent manager. He has completely rebuilt Rangers, starting from the back, but the forward areas are much better as well. He has got rid of many players (about 15) who were not Rangers class, and those that he has brought in for a VERY SMALL FINANCIAL OUTLAY, are of a higher quality than those that are gone. But it doesn't stop there. He has also got them playing hard, and playing as a TEAM. He has given them a winning mentality and is gradually getting us back a bit of self respect. It is many years since I have felt so optimistic about the season ahead. We just need to bring in Kyle Lafferty to give more power up front --and he will terrify Celtic!!! Thanks Steven Gerrard. Incredible stat, for the 1st time in years, i dare to dream,we would have been destroyed last year in a game like tonight, i was nervous for tonight but besides two spells of Maribor pressure, i thought we looked comfortable, Our 2 CBs and Goalie, Give me real confidence, its been a great start to the season, heres hoping it continues! He's achieved a lot more than more experienced managers would have. SG and his team have been fantastic. I imagine all Rangers fans will be hoping Liverpool win the league this year, the last thing we need is Klopp getting the sack next summer. And We are in with a Shot at The Title!